The Mercedes-Benz X-Class pickup truck has only been around for a few months but already third-party conversion specialists are turning the premium pickup into spin-off variants including camper vans and mobile kitchens. A handful of quirky X-Classes will go on show at the Caravan, Motor, Touristik (CMT) show in Stuttgart 13-21 January 2018. Each has been modified by a third party, but with the official blessing of Mercedes-Benz Vans. 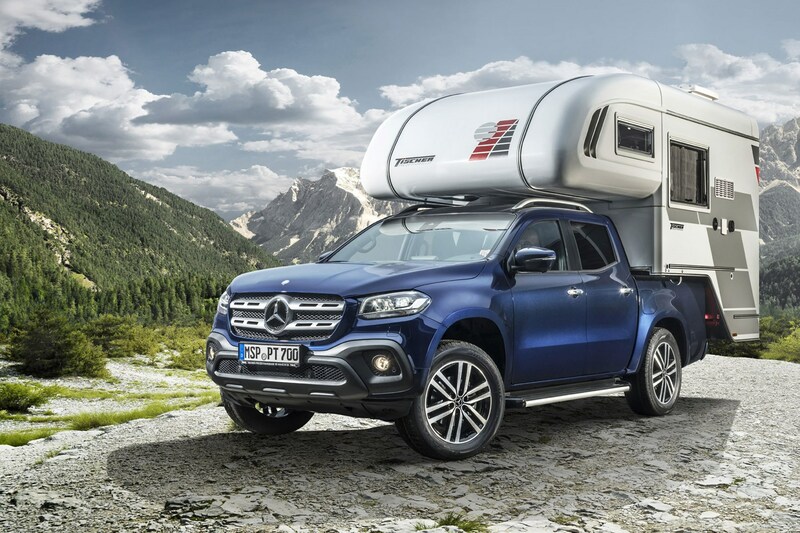 First up is the X-Class camper, built by outdoor specialist Tischer. 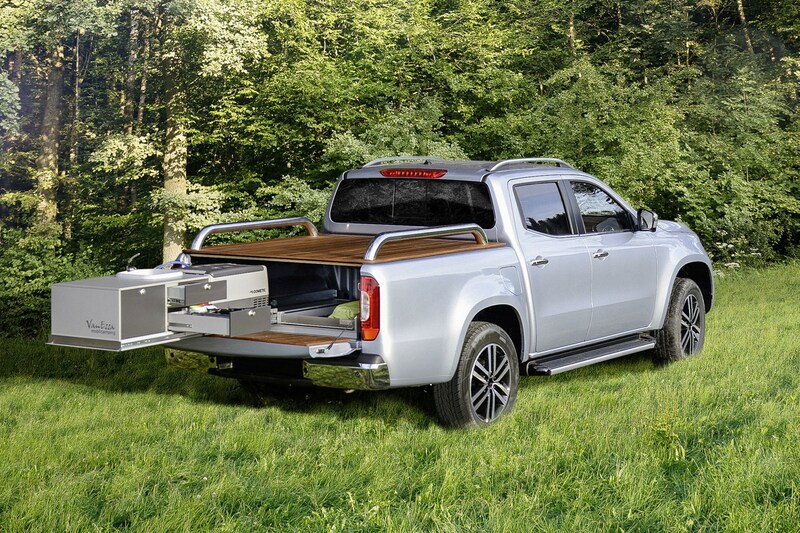 It’s a tag-along accessory for the X-Class and mounts portable accommodation on top of the pickup’s loadbed. The unit is said to offer 2.0m of headroom and packs a 1.5m-wide sleeping area as the main bed, plus a further snoozing space in the kitchen. It’s pretty snug but a useful compact alternative to a caravan. There’s also space for a shower and a fully functioning kitchen with a three-hob stove and a kitchen sink. 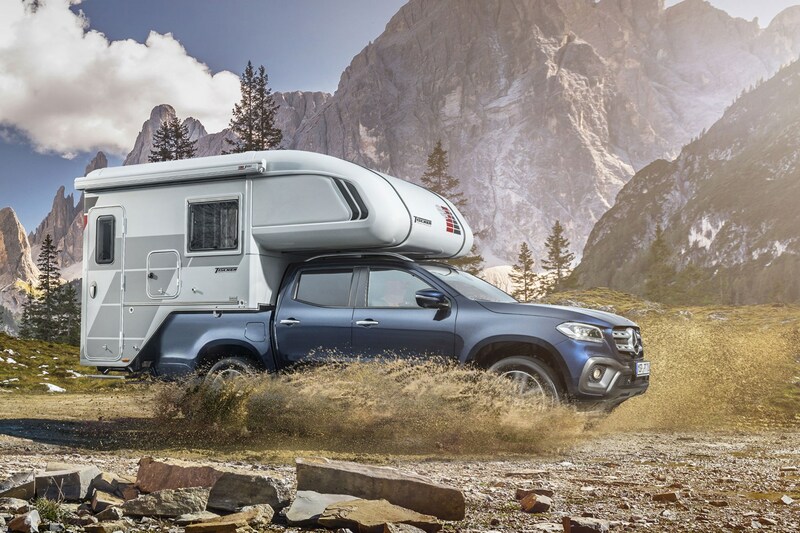 No prices have been announced yet for the X-Class camper conversion. If the great outdoors is all about the cooking for you, then check out the mobile kitchen from conversion specialist VanEssa. 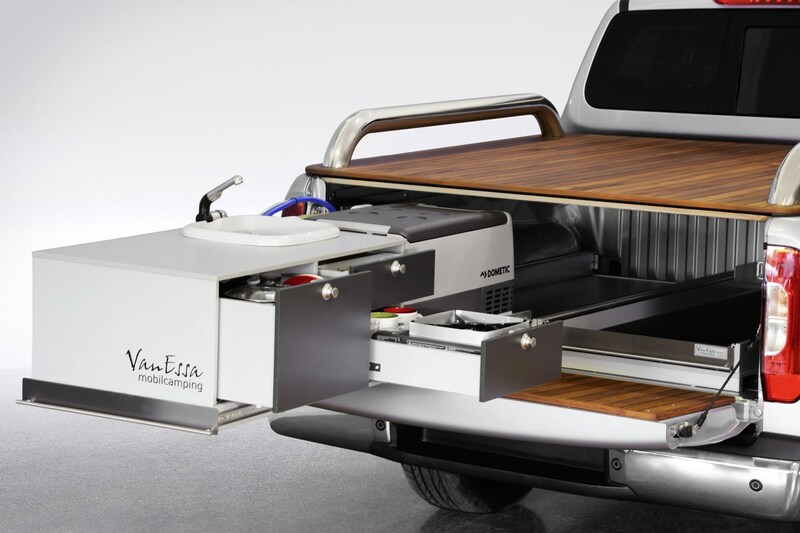 Its pickup cuisine option packs a fridge, sink, chef’s tools and worktop space into a 250kg kitchen unit built into the X-Class’s flatbed. There’s even smart teak decking to wow your guests when you serve your vol au vents in the wild. Mercedes is hooking up with third-party specialists because camping demand in Germany is growing, it claims. Between January and October 2017 nearly 38,000 new camper vans were registered, according to the German Caravanning Industry Association - up 5,000 on the previous year. So, would you rock one of these? Or would you prefer a more conventional VW California - or Mercedes V-Class Marco Polo?